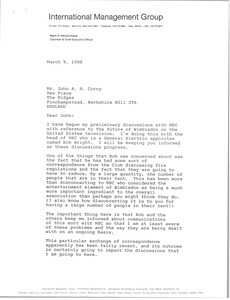 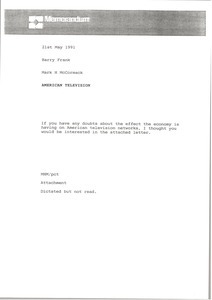 United States - Forwarding a memo from Barry Frank discussing the U. S. Television marketplace. 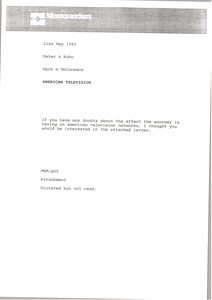 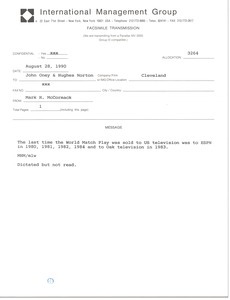 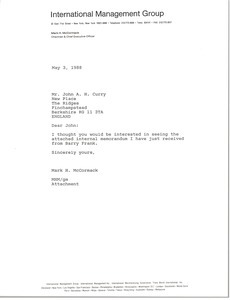 United States - McCormack notes that the last time the World Match Play was sold to US television was to ESPN 1980-82 and 1984 and to Oak television in 1983. United States - Concerning American Television networks and forwarding an attached letter. Enclosure not with letter. United States - Concerning American Television networks and forwarding an attached letter.